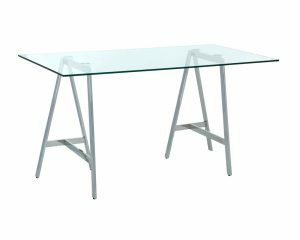 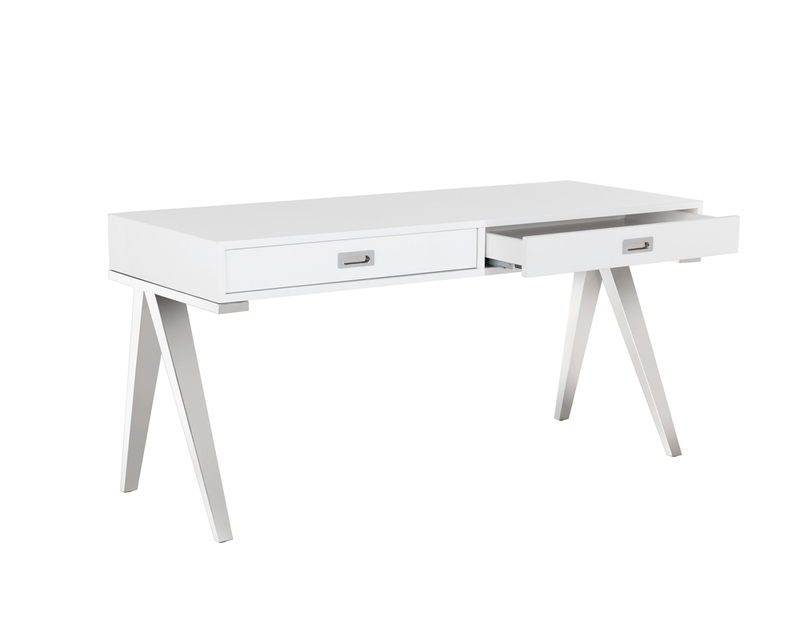 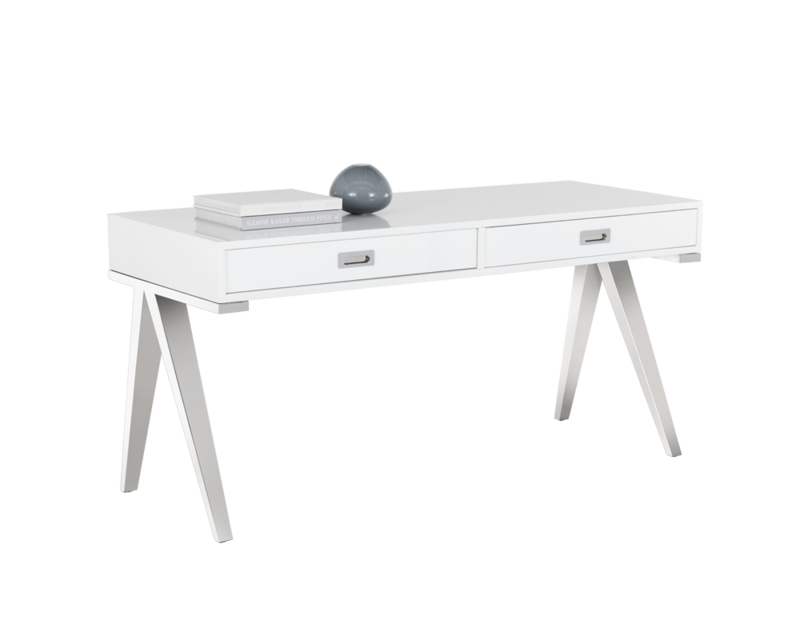 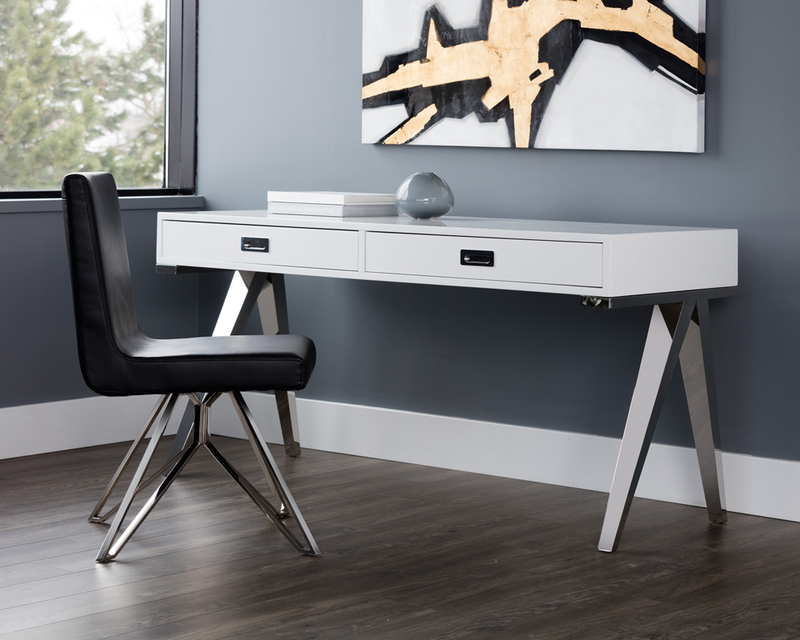 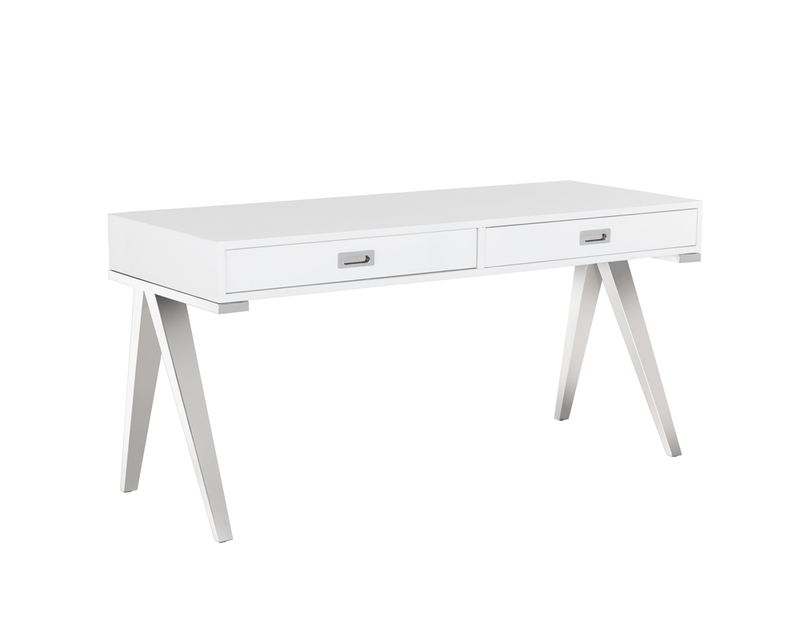 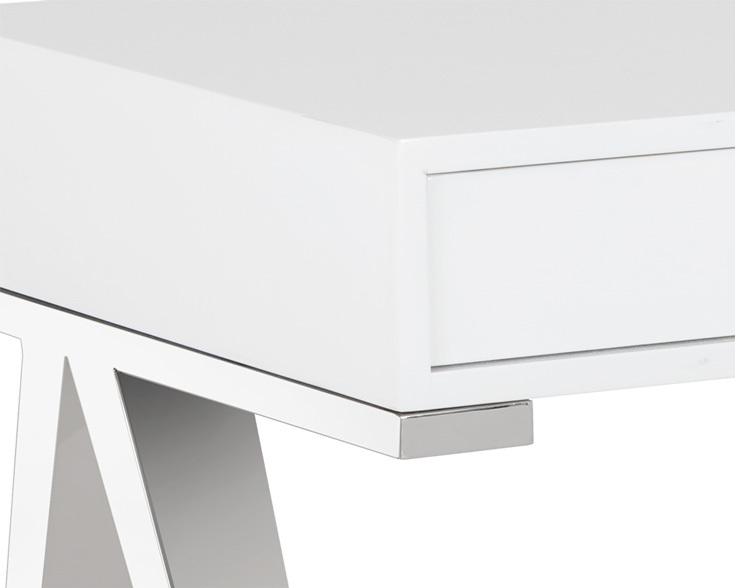 Add modern sophistication to office spaces with this high gloss white desk from our Club Collection. 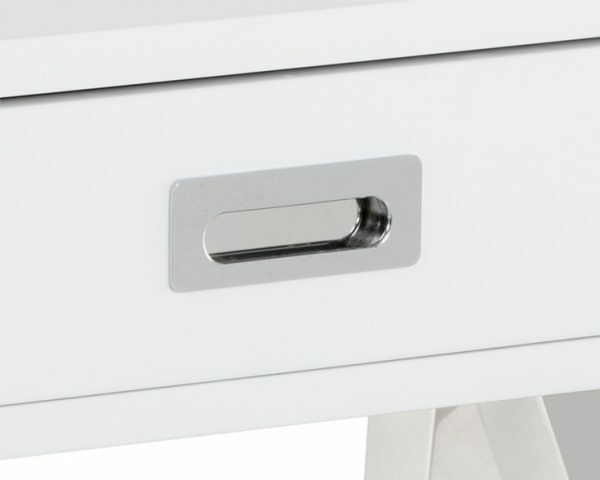 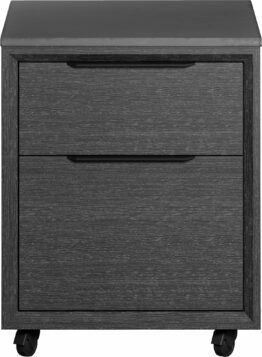 Features two drawers with polished stainless steel handles and legs. 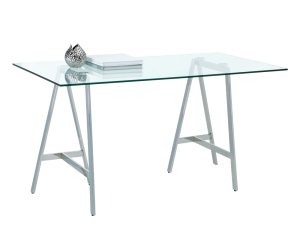 Dimensions: 63.00W x 23.50D x 30.00H in.